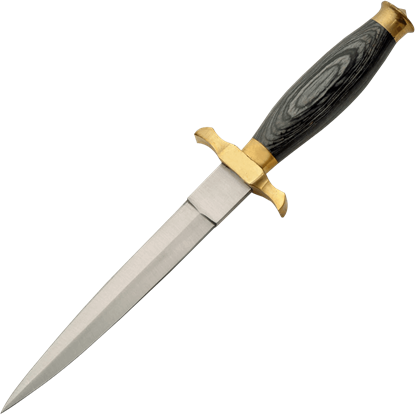 During the Renaissance Age the dagger was used as part of dress. 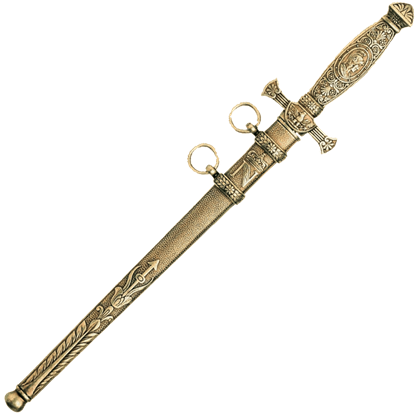 Renaissance daggers was the only weapon commoners were allowed to carry on them. Renaissance daggers were the last and only line of defense. 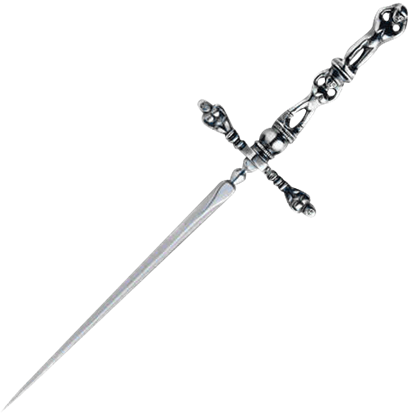 Sometimes, renaissance daggers were used in eating. Renaissance daggers are the perfect companion to the sword. We have great Renaissance styled daggers from the Venetian Stiletto to the 17th Century Steel Hilted Dagger. Named for the ancient forging technique from the Near East, Damascus steel is characterized by distinctive patterns of ripples or swirls. 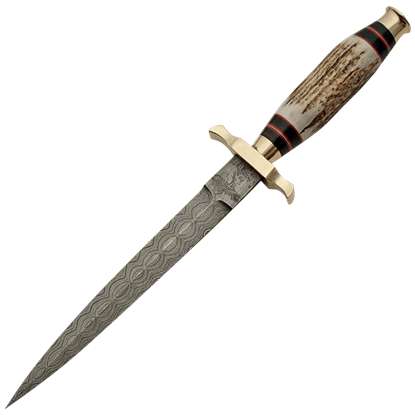 This Antler Damascus Dagger makes an excellent gift for hunters, reenactors, and collectors. Known for its culture, architecture, and art, Barcelona is one of the most beautiful and intriguing cities in the entire world. Harnessing the beauty and intrigue of that city in a stunning weapon is this Barcelona Spike Dagger. 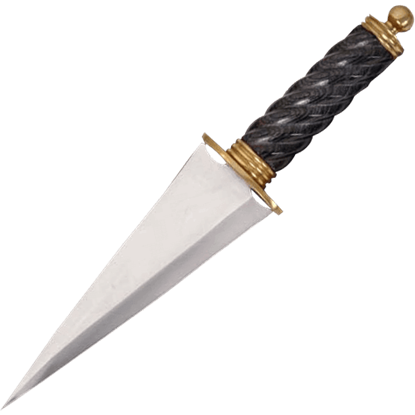 The Black Renaissance Dagger is great for Renaissance fairs, reenactments, or adding to medieval dagger collections. 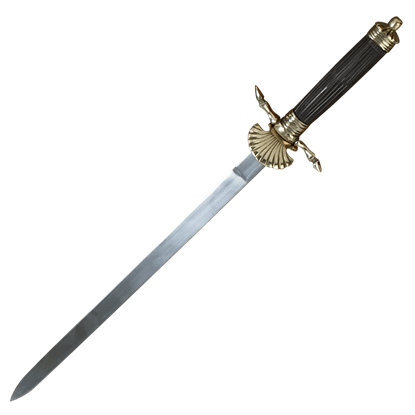 Based on historical styles, this Renaissance dagger has a black hardwood handle with a brass guard and pommel. In the bygone era, hunting was a common way to provide for your family. This Broad German Hunting Dagger is a recreation of a detailed hunting dagger that not only boasts a handsome design, but also an effective look too. Based on historic blades the emerged on the sword scene in the late 1600s, the Colichemarde Dagger is the companion to the matching Colichemarde Sword but serves well as a beautiful and high quality combat blade in its own right. 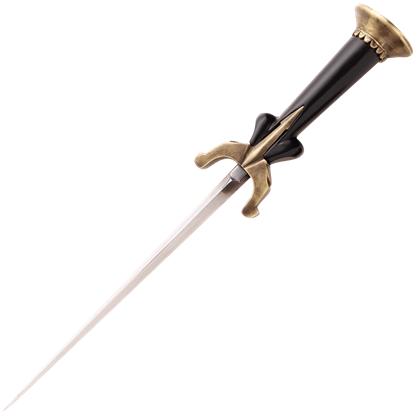 A defensive dagger has to be a hardy dagger, and this Diavolo Main Gauche Dagger does not disappoint in its design. 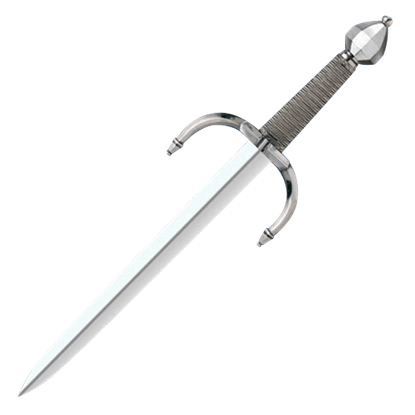 A thick blade with a well-planned guard makes this an off-handed dagger that any duelist would want to wield. In the bygone era, hunting was a common way to provide for your family. 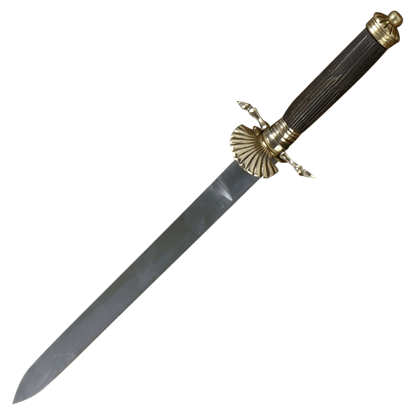 This German Hunting Dagger is a recreation of a detailed hunting dagger that not only boasts a handsome design, but also a rather effective look too. 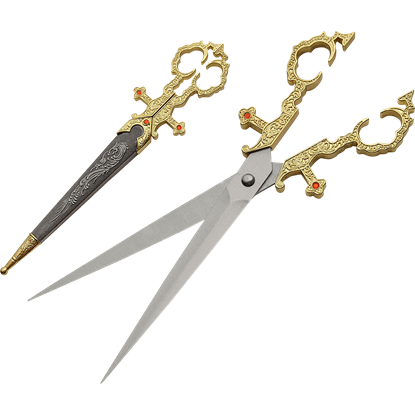 Perfect for the seamstress or historical artisan in your life, as well as for collectors, these Gold Renaissance Scissors have a cruciform style with jewel accents. First developed in Ancient Rome, pivot scissors are still used today. This royal Renaissance dagger features a fishtail type pommel popular during the 15th and 16th centuries. The flourish of the pommel and star shaped quillons provides a regal presence that enhances this Italian Arming Dagger. 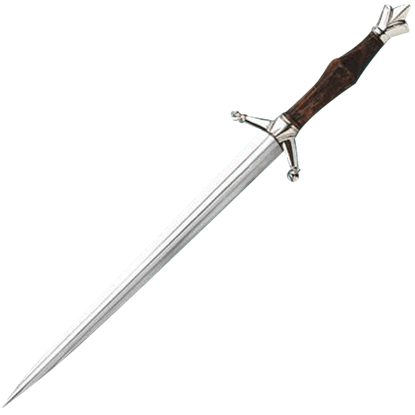 Popular throughout Europe between the 13th and 18th centuries, the ballock dagger reached its height during the Tudor period. 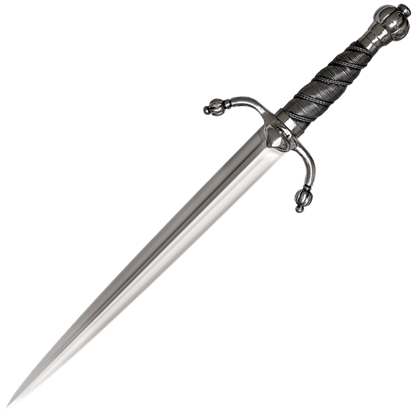 This Italian Ballock Dagger has a strong triangular blade, capable of punching through tough mail armour. This Italian Courtier Stiletto is but one of many examples made during the 16th century, with handles emulating figures. Pairs of monsters, animals, or humans were sometimes designed to enhance a piece, making it truly one of a kind.